I took a year off, after graduating from Yale University in 2015, to pursue research projects back home in Thailand. 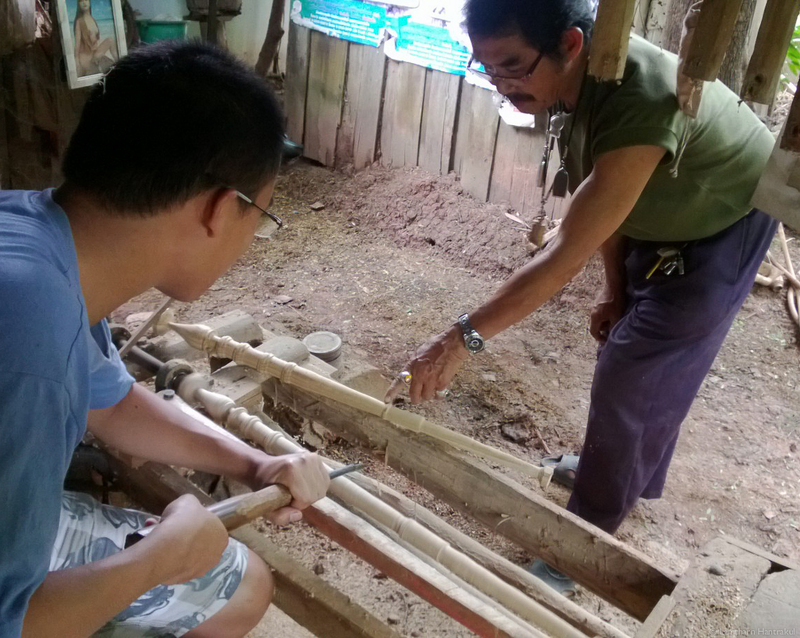 In August 2015, I started apprenticing with Khet Chaikam (เกตุ ไชยคำ), a carpenter from the North of Thailand, to learn the woodcraft of traditional musical instruments from Northern Thailand. Photos and videos on the link!